Fraudsters are finding more and more audacious ways of robbing companies of their money. People think that every one of them is a really sophisticated hacker, but nothing could be further from the truth. Their approach is usually surprisingly simple, giving you all the more reason to remain vigilant at all times. Only recently, a Dutch cinema chain was the victim of a serious scam. The scammer pulled it off by e-mail spoofing. This means that crucial information in the e-mail message, such as the sender, was forged. He managed to convince the finance director that it was the CEO who was e-mailing him. He told him a story about a big acquisition he was currently finalising on the quiet in Dubai. His question: whether the finance director could quickly transfer the sum of €20 million? You might think that no one would fall for this, but the reality is different. CEO fraud happens on a regular basis. A major car manufacturer was recently conned out of half a million euros in this way. A few years ago, it even cost a major player from the banking and insurance world more than €50 million. Lots of invoices are still sent by post. Criminals then intercept them and change the beneficiary’s account number so that invoices are paid into the wrong account. However, nowadays, banks are increasingly checking that the name of the account holder is the same as that of the stated beneficiary. Many fraud attempts are already stopped in this way. Criminals abuse the relationship of trust between a customer and their regular supplier by sending fake invoices in the latter’s name. Nowadays, all information, including logos, can be found online. That makes it really easy for scammers. This kind of fraud often happens in combination with spoof e-mail addresses and domain names that are very similar to the original. The sender is not who they seem. Scammers notice when a company rolls out a new brand or logo. This sometimes leads to fake invoices for registering the patent. There’s also a telephone version of this scam: companies are asked if they’re interested in registering a similar domain name. The fraudster also usually mentions that a competitor is already interested, which makes them give in all the quicker for fear of this. It doesn’t take a genius to come up with the idea of charging private purchases to the employer. And it’s easier than you think. For instance, a few years ago, an employee conned their employer out of nearly three million euros. It often happens that employees steal goods from their employer. The larger the company, the easier it usually is to do. For example, fairly recently, an employee managed to steal nearly €20,000 worth of items from their employer, a catering wholesaler. A man had a friend’s company send fake invoices to his own employer. Once they were paid, the friend transferred the money to the man’s personal account. A few years ago, a fraud worth millions was discovered. Fraudsters aren’t all IT whiz-kids, but some of them definitely are. For instance, an accounting system is hacked and invoices are then sent to a fake account number. A fake employee is also sometimes created. In this way, a hacker can set themselves up with a win-for-life situation. Of course, this demonstrates a recklessness that beggars belief. Many examples can be found where an employee sells company equipment without the company being aware of it. Or they sell it with the company’s knowledge, but for a higher price. In this way, a fraudster can often pocket a considerable amount for themselves. An airline employee was very creative. He booked tickets on behalf of customers, but used a discount code to do so. He then charged customers for the full amount and pocketed the difference. A fraudster managed to clone details of existing customers to stolen modems. He sold these modems to third parties, who could then surf the web and watch pay TV without having to pay for it themselves. The only requirement was that the subscriber actually kept up their subscription. It’s clear that you need to protect your company properly against all possible risks of fraud. 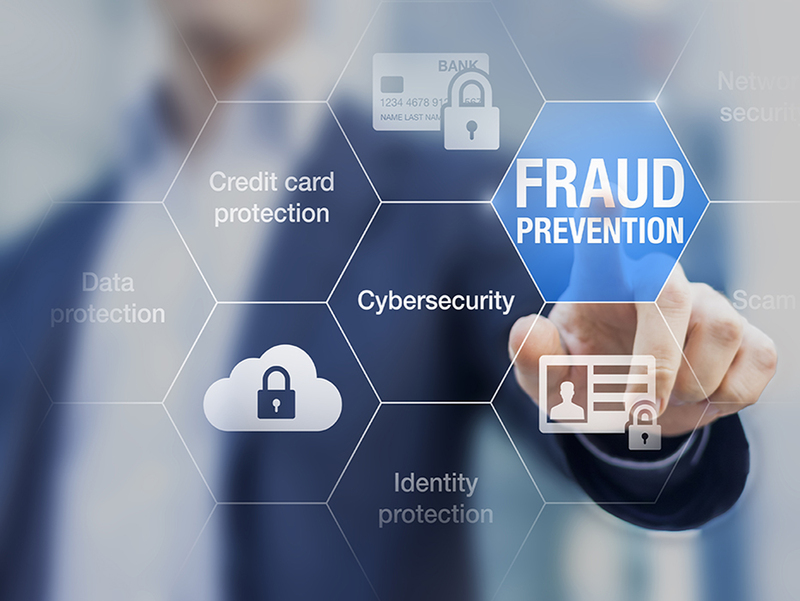 Fraud insurance is a very useful addition to your company’s fraud prevention plans. If you want to know more about this insurance solution, read this blog! We are pleased to prepare a bespoke proposal for fraud insurance for your firm. For more information, call us on +32 (0)3 292 00 13 or contact us at tom.vanbritsom@vanbreda.be.